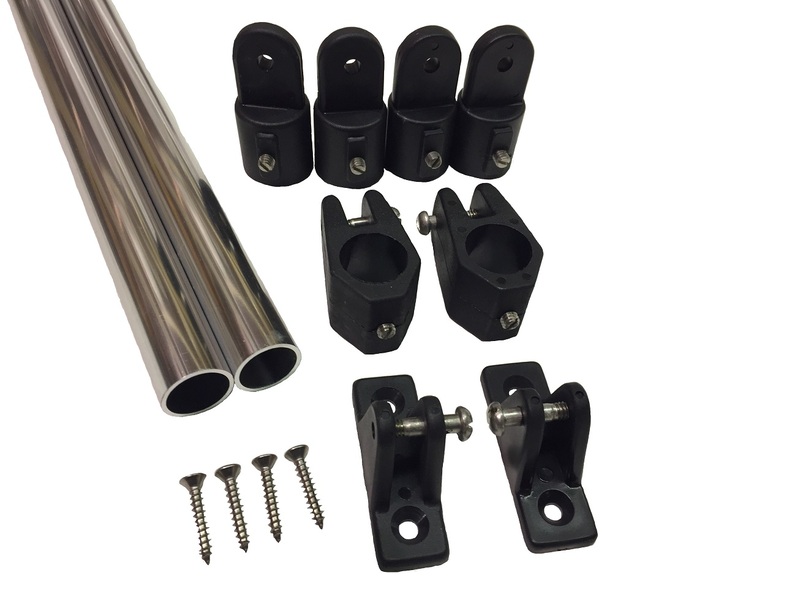 Delrin 3/4" Bimini Support Struts with 90° Deck Mount. 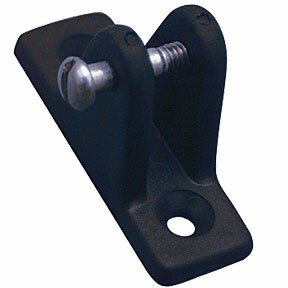 This strut mounts on the deck of your boat aligned vertically with your bimini frame. The middle picture on the upper right shows the fitting that is screwed onto the deck of the boat.